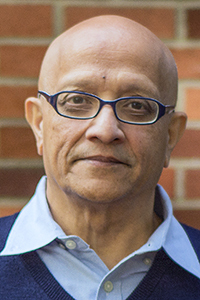 ish Sen has been teaching as an adjunct instructor at the School of Journalism and Communication since 2004. Sen’s research interests include mass communications, globalization, and new media. He is the author of Of the People: Essays on Indian Popular Culture and has written several articles that focus on different aspects of televisual culture. He is currently co-editing a volume titled 50 years of Indian Television: Contemporary Issues and is working on a monograph that will examine the spread of digital culture in India.